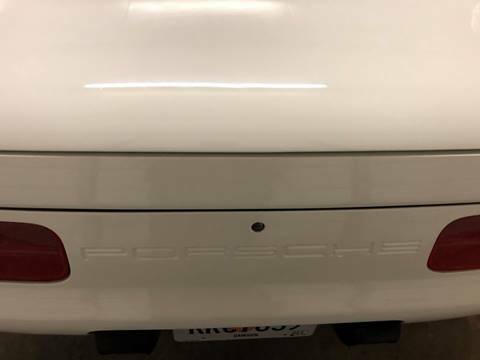 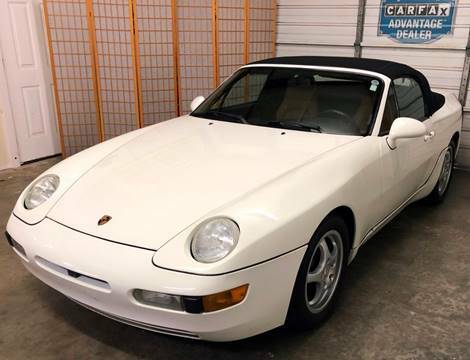 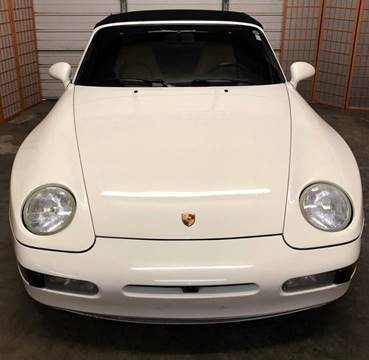 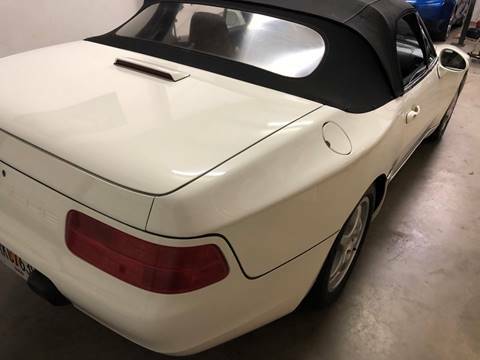 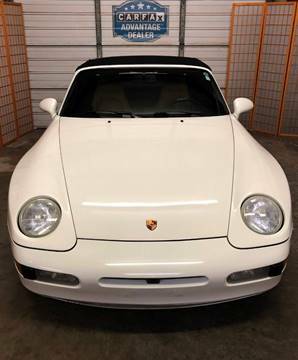 WOW call or text Pete @ 6788585786 on this Uber rare 968 Porsche Cabriolet. 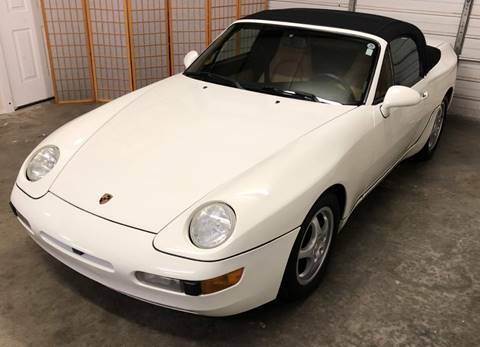 Only 414 Imported out of 1000 produced worldwide make this junior supercar a rare Porsche indeed. The 968 was powered by an updated version of the 944's straight-four engine, now displacing 3.0 L with 104 mm bore, 88 mm stroke and producing 240 PS (237 bhp; 177 kW). 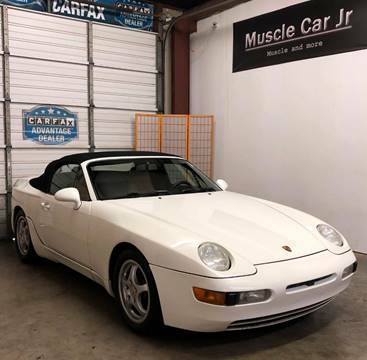 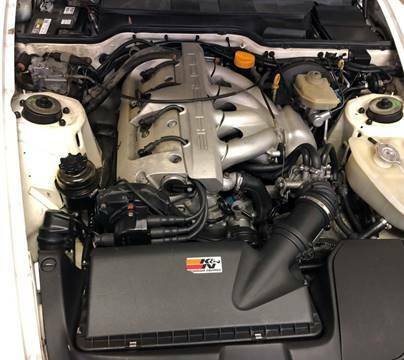 Changes to the 968's powertrain also included the addition of Porsche's then-new VarioCam variable valve timing system, newly optimized induction and exhaust systems, a dual-mass flywheel, and updated engine management electronics among other more minor revisions. 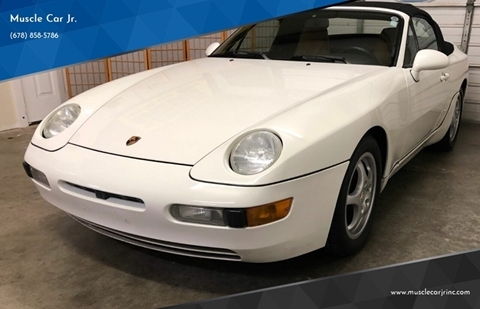 The 968's engine was the fourth-largest four-cylinder ever offered in a production car up to that time. 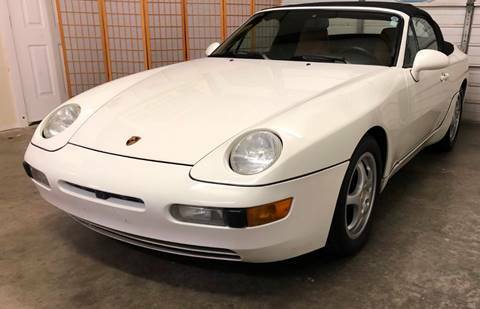 A new 6-speed manual transmission replaced the 944's old 5-speed, and Porsche's dual-mode Tiptronic automatic became an available option. 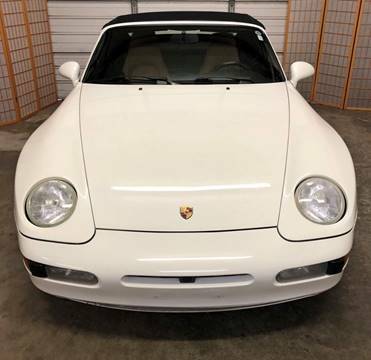 Both the VarioCam timing system and Tiptronic transmission were very recent developments for Porsche. 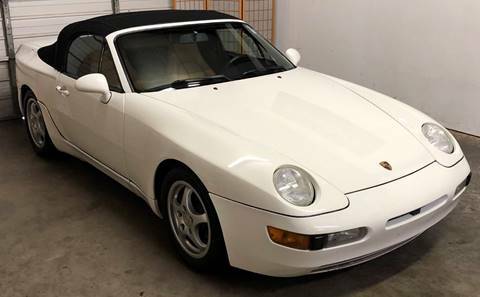 The Tiptronic transmission had debuted for the first time only 3 years prior to the debut of the 968, on the 1989 Type 964 911. 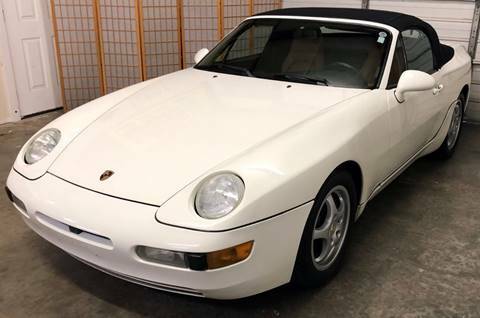 The VarioCam timing system was first introduced on the 968 and would later become a feature of the Type 993 air-cooled six-cylinder engine. 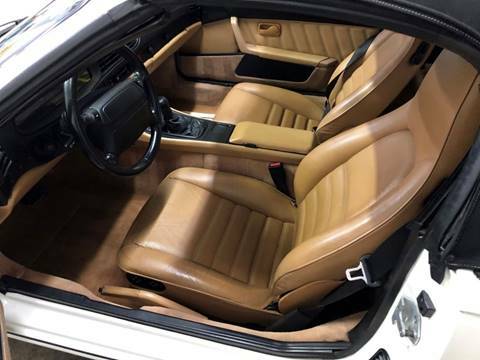 Much of the 968's chassis was carried over from the 944 S2, which in itself shared many components with the 944 Turbo (internally numbered 951). 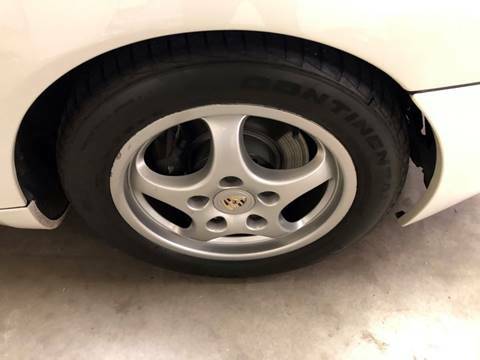 Borrowed components include the Brembo-sourced four-piston brake calipers on all four wheels, aluminium semi-trailing arms and aluminum front A-arms, used in a Macpherson strut arrangement. 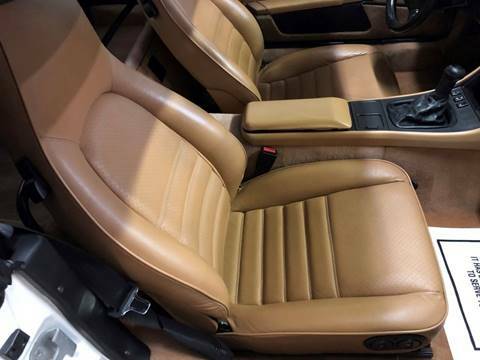 The steel unibody structure was also very similar to that of the previous models. 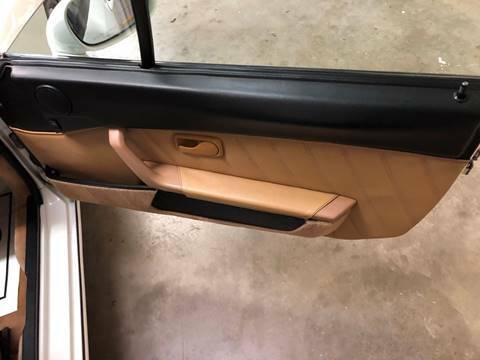 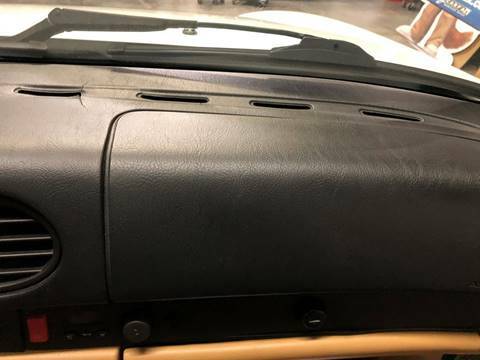 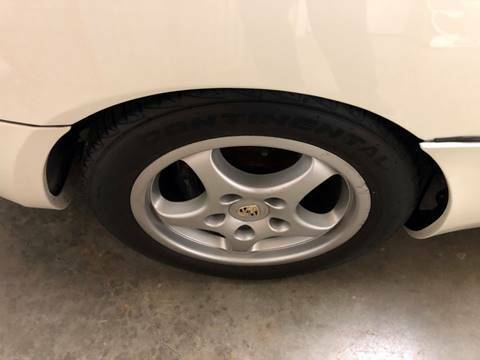 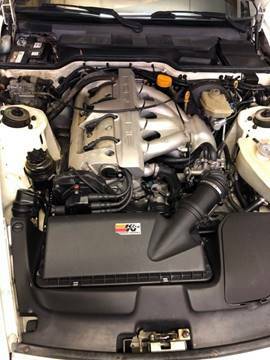 Porsche maintained that 80% of the car was new. 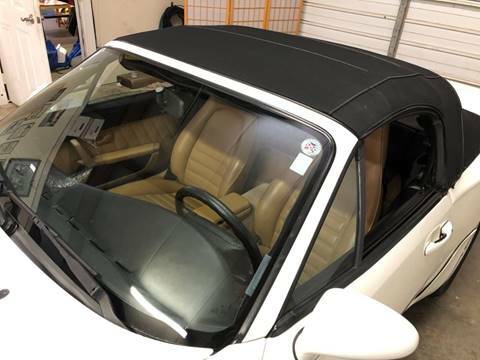 The front windshield is in excellent condition. 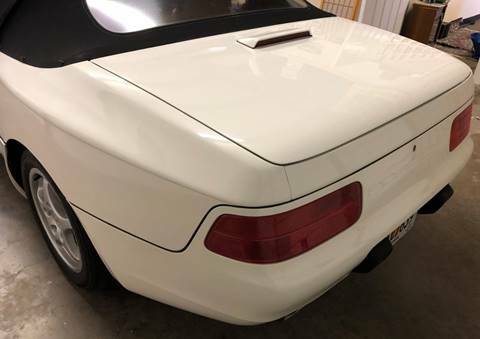 The paint is in great shape and condition. 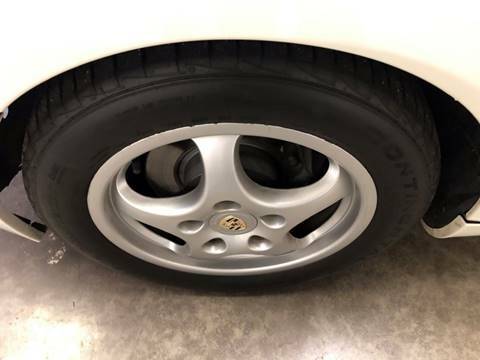 The tires are slightly worn with about 75% of tread life left. 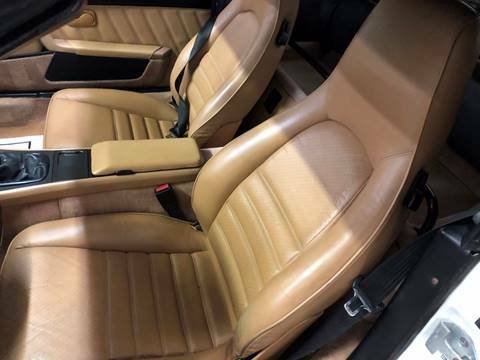 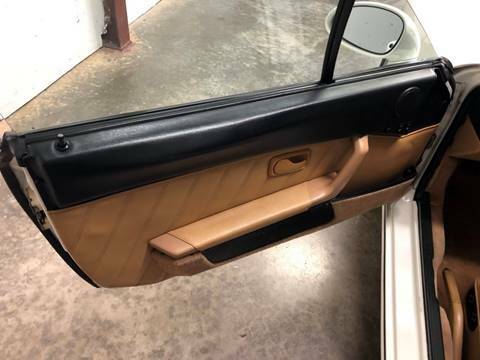 The interior was well maintained and is extra clean. 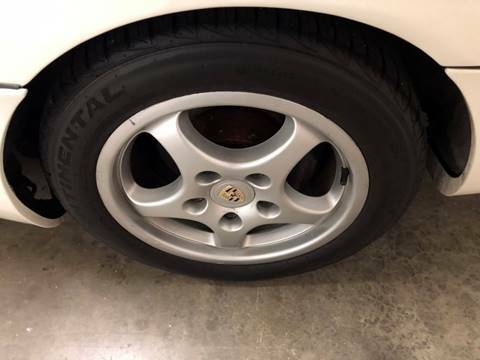 The exterior was well maintained and is extra clean. 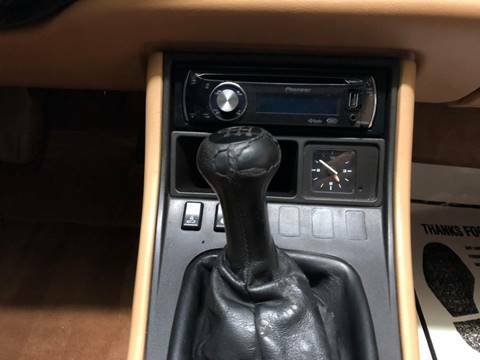 The transmission shifts very smoothly. 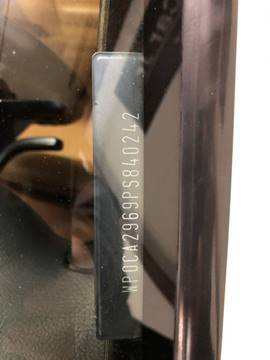 The battery is in excellent condition. 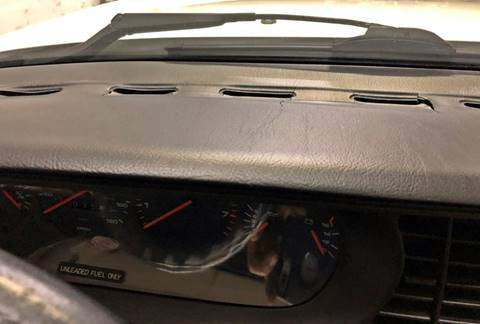 The car was previously owned by a non smoker.